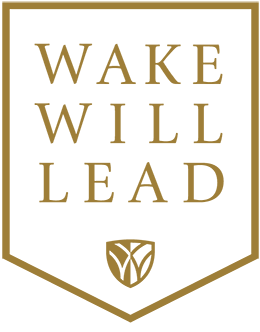 The Honor Roll recognizes all who have given to Wake Will: The Campaign for Wake Forest University. We gratefully acknowledge the donors whose investment in Wake Forest will enable us to prepare students to lead lives that matter by creating opportunity, educating the whole person and inspiring excellence. The Honor Roll is updated several times each month and may be searched using donor name, class year, affiliation or program of degree. If you would like to make a gift to the Campaign, please use our giving form. If you have questions, please contact us. The Honor Roll includes more than 40,000 names. Searching by only one or two criteria may produce a very long list of results. The name fields allow partial searches. Wild card characters aren't necessary. Example: searching "Rob" will also display "Robert" and "Robby."